A new approach to building an 'artificial nose' - using fluorescent compounds and DNA - could accelerate the use of sniffing sensors into the realm of mass production and widespread use, say Stanford chemists. Experten der Molekularstrahlexpitaxie sind die Legobauer unter den Halbleiterphysikern. Sie koennen Atomschichten so gleichmaessig zusammenbauen, als waeren es die beruehmten Plastikbausteine. For their look into the nanoworld, researchers used a scanning tunneling microscope. Its thin metal tip scans the specimen surface like the needle of a record player and registers the atomic irregularies and differences of approximately one nanometer with minuscule electric currents. Scientists at the Max Planck Institute of Quantum Optics succeed in recording single-atom resolved images of a highly correlated quantum gas. nfrastructure Technologies is the first company to sign on to the Assembly's inter-regional nanotechnology-partnership initiative. The company will occupy a newly created space at SUNYIT; planning of which is underway. Leading scientists from neuroscience, nanoscience, astrophysics, computer science and engineering are gathering to discuss this question in Tromso, Norway, continuing a dialogue that began at last year's Kavli Futures Symposium. A record number of 16 papers with imec authors has been accepted for this year's IEEE International Electron Devices Meeting (IEDM), being held Dec 6 - 8 in San Francisco. Both ITRS-related as well as More-than-Moore-related research papers have been accepted. National Science Foundation funds $10M expedition in computing. These workshops brief participants on what is nanotechnology and manufactured nanomaterials, what are some of the potential risks from nanotechnologies and manufactured nanomaterials (e.g. to the environment or human health) and benefits (e.g. decreased costs of low-maintenance products, or use in environmental remediation) of nanotechnology and nanomaterials. Technology World in partnership with UK NanoForum will bring over 350 senior international delegates together with the best of the UK's Science and Technology community. With a focus on trade, investment and collaborations, this will be a networking forum for industry, academia, technology purchasers and those seeking to develop joint ventures and future partnerships. An all-day special session on a roadmap for maskless lithography R+D and a keynote presentation offering insights on how to be successful in the photomask industry will highlight the SPIE Photomask Technology symposium next month in Monterey, California. An international team of researchers has succeeded in producing nanocrystals that build conductive two-dimensional nanostructures trough self-organisation. 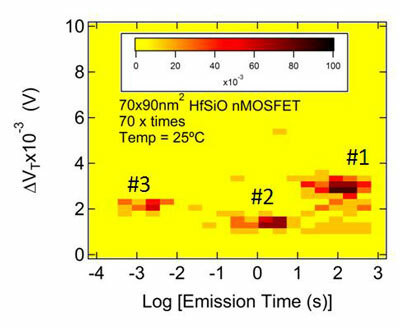 Using a new technique, researchers from imec, TU Vienna, and Infineon have shown that both electron and hole capture and emission times in SiO2 and HfO2 dielectrics are strongly thermally activated. 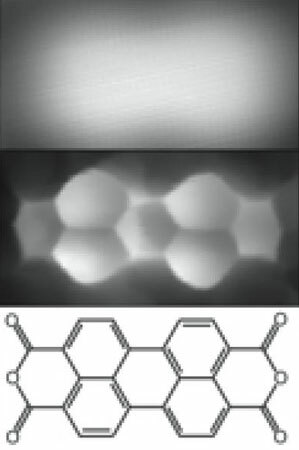 The new technique, Time Dependent Defect Spectroscopy (TDDS), can be used to study the capture and emission times of single oxide defects over a very wide time range. Under the umbrella of the European Silicon Photonics Cluster, 10 European R+D project consortia coordinate their efforts in silicon photonics. 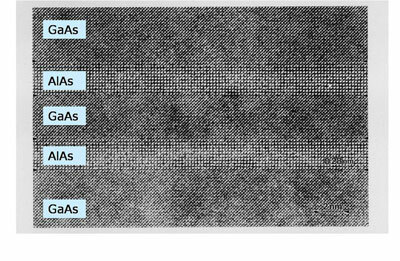 Imec has fabricated tandem organic solar cells with peak conversion efficiencies of 5.15%. 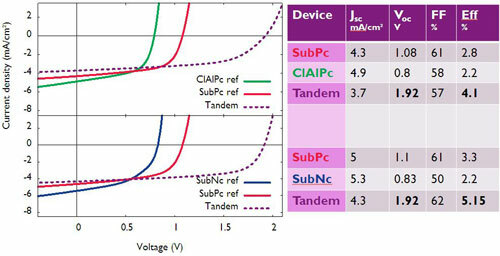 This was achieved by stacking two different planar heterojunction devices, each with a high open-circuit voltage.